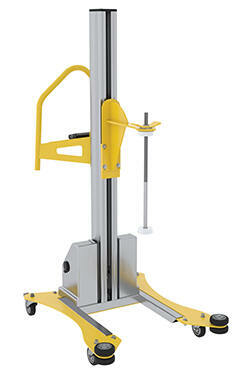 The Material Pallet Stretch Wrap Machine provides the flexibility to apply stretch wrap film at any work station. This portable walk around stretch wrapper has electronic touch sensitive controls to make packaging tasks easier. 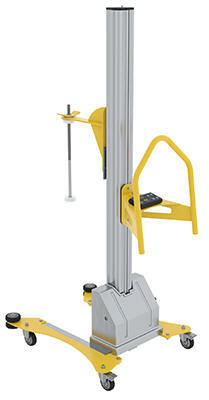 Powerful DC battery powered lift moves film wrap up and down as operator simply walks around the packages. 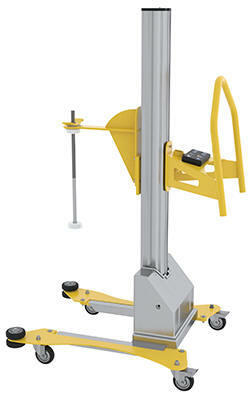 Designed to help you to wrap large and tall packages that could not be wrapped on the standard carousel stretch wrappers. Features an easy reload film system. 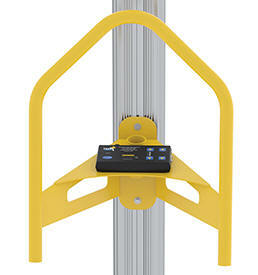 The holder will accommodate rolls of wrapping material up to 20” long. 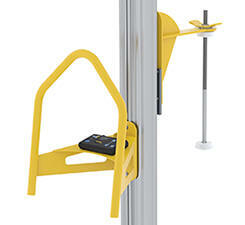 The upright is constructed of aluminum while the rest is steel construction with powder coat yellow finish. 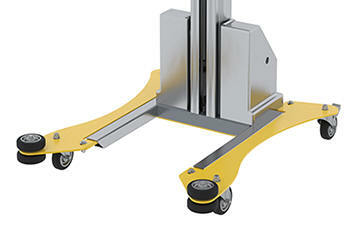 Includes (4) 4" swivel casters. Includes two (2) 12V AGM batteries with an on-board battery charge. Film is not included.